We suffer flu and other Seasonal illness every year when season are changing. But if we look the fruit market, there is a fruit for that season. For example in tropical country have suffered flu when the season change from summer to winter and Winter to summer. 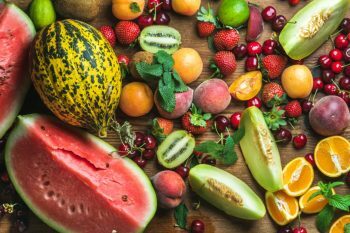 Now look when changing the season from summer to winter that time Orange, Grapefruit and many other citric fruits available in the market and also those are fresh. If anyone take Grapefruit every day in that season whether it is raw or juice then those people are less suffer for cold even in cold win cannot harm them. Raw fruits are more beneficial than the juice because raw contain fiber which are also very essential for health. So, who can take the fruit in raw form they will get more benefit from it. Finally everybody should eat seasonal fruit every day with every meal. Always try to take some fruit after lunch and dinner. It will helps a lot. If you are habituated by it, You will be surprise that how healthy you are. Note: If you are suffering any disease, Please consult your physician before taking any fruit.